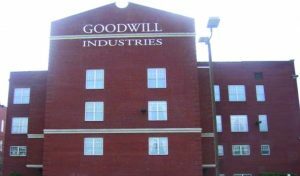 JOHNSTOWN, PA, September 8, 2017—Goodwill of the Southern Alleghenies announces a partnership with the Altoona Area School District (AASD) Adult Education Program to offer no-cost adult education classes at the Goodwill Career Center on Central Avenue in the Moxham section of Johnstown. Classes will be offered beginning September 11 and will be held Mondays and Wednesdays from 1:00–3:30 P.M. Classes are self-paced, but consistent attendance is encouraged for the maximum benefit. Classes will be taught by a PA-Certified teacher from the AASD Adult Education Program. Subjects include preparation for the GED® or HiSET® Exam for adults pursuing a Commonwealth Secondary School Diploma, and Reading and Math refresher classes for adults who already obtained their high school diploma, but wish to improve their skills and be more prepared to enter the workforce, a postsecondary school, or a training program. “We’re excited to partner with the Altoona Area School District to offer classes so adult learners can earn their diplomas and brush up on basic skills to better prepare for postsecondary education or training and obtaining employment,” stated Bradley R. Burger, President/CEO of Goodwill of the Southern Alleghenies. “Our ultimate goal is to help people with barriers to employment to break down those barriers through education,” he added. For more information or to register for classes, please contact Jennifer Galiote, Career and Employer Services Professional at Goodwill of the Southern Alleghenies at (814) 536-3536, ext. 243 or jgaliote@gogoodwill.org.